Greenwich Leisure Limited (GLL) has a 25 year operational lease on a number of leisure centres in the South West of England. Many of these incorporate swimming pools with ageing and inefficient equipment at the end of operational life. 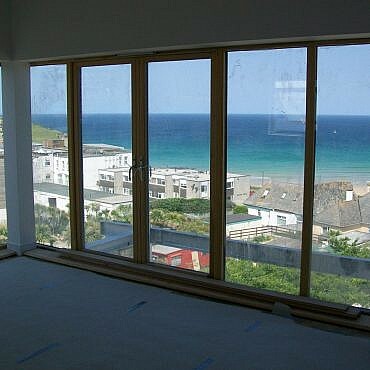 The Splash Leisure pool at Bude represented a typical case where capital plant was up for replacement. 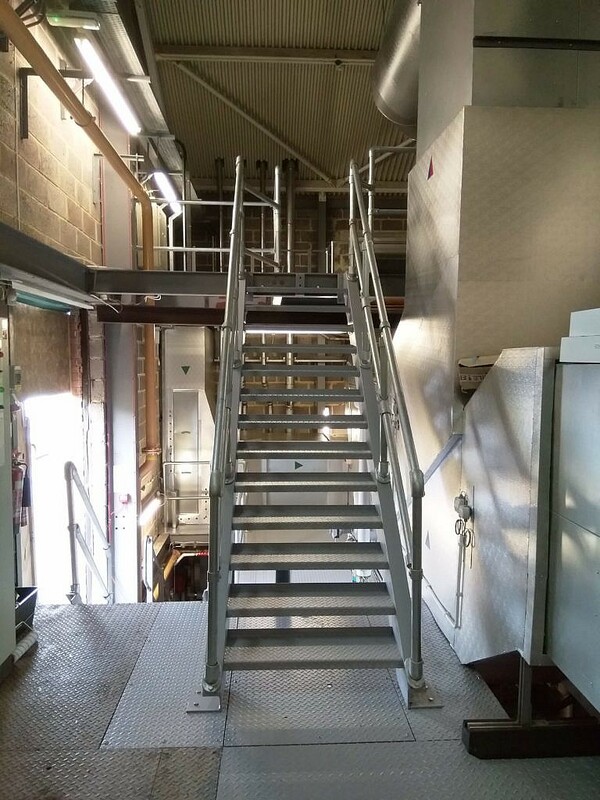 GPJ Consulting Engineers worked closely with GLL to replace key plant and to incorporate new Building Management Controls. The aim was to use proven control algorithms to reduce the gas costs by 30%, the electricity running costs by 20% and to use far less water. This is being achieved by close monitoring and good pool management. By remodelling the plantroom and by removing dangerous vertical access ladders, the plant room is now safe to access and free space has been created for sports equipment storage. 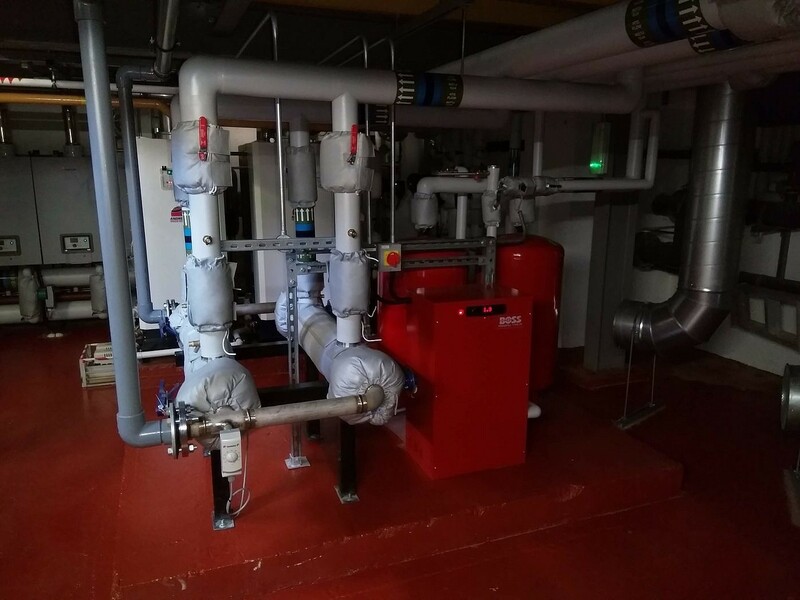 The new pressure jet condensing boilers can now operate at lower flow and return temperatures which in turn allow them to condense all year round. 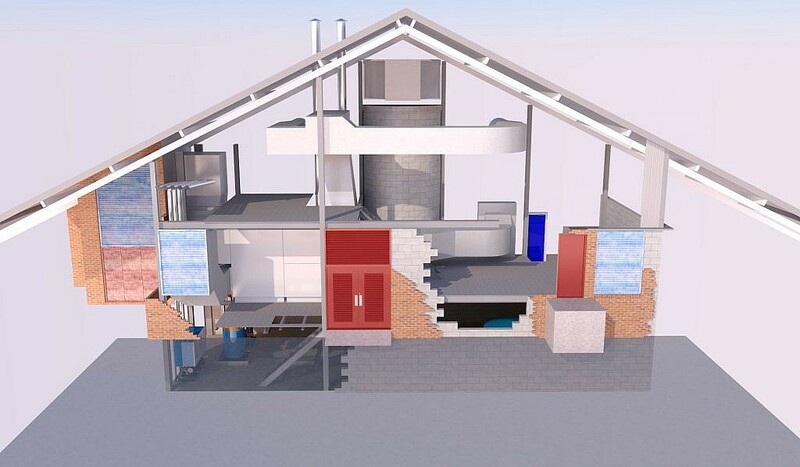 Independent gas fired hot water generators improve redundancy and allow weather compensated and optimised low temperature boiler operation. 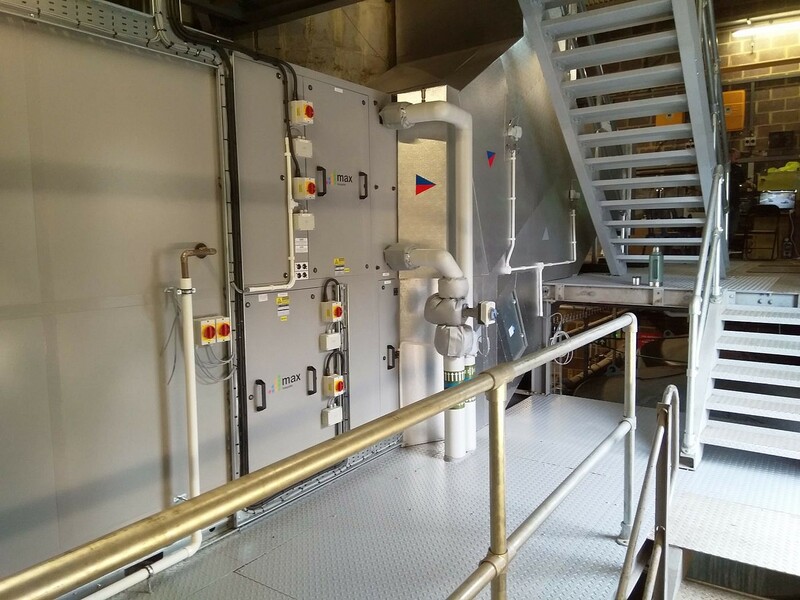 A new pool air handling unit has been installed to provide clean filtered air at the optimum humidity and temperature to ensure energy is not wasted. 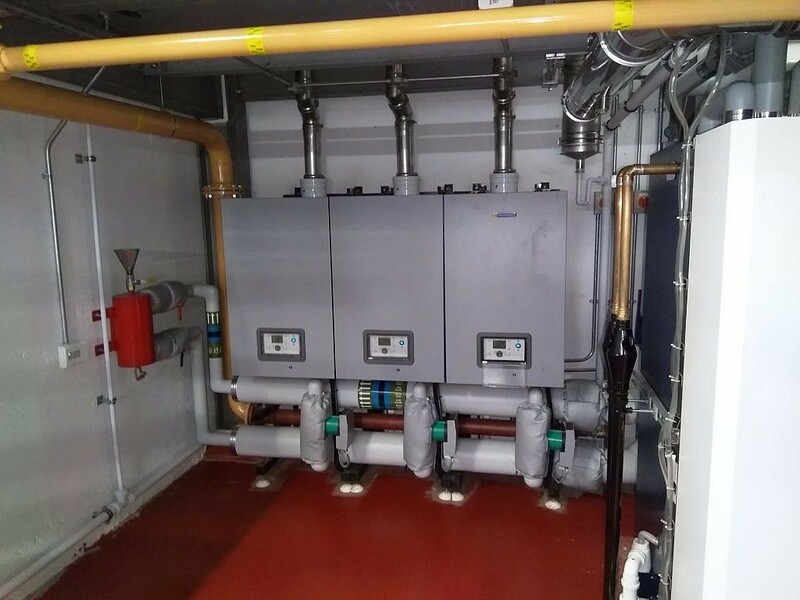 Cold water storage tanks and booster sets are now no longer needed and they have been removed thus saving on maintenance and cost of bi-annual tank cleaning. GLL managers are now able to remotely monitor Gas, Electricity and Water consumptions on a daily basis. GLL now have a safe and optimally run facility which enhances the customer experience and reduces the operational and utility cost burden.